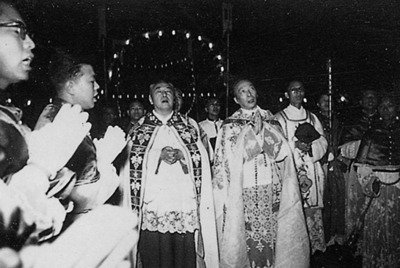 Bishop Gong at a liturgical event in Shanghai. Shanghai. Original Collection: (Bishop) Cardinal Gong Pinmei's Image Collection. B/W Photo.